Imagine a world without chicken wings. It’s hard. Yet every single Baby Boomer alive today was born into that world. Prior to 1964 (-ish, but more on that later), there was no such thing as the modern chicken wing. That’s a dark world, but we can thank a frigid industrial town in upstate New York for making it brighter. Buffalo, New York, is known for a few things. The cold, for one, and being the home city of the only NFL team to make it to four consecutive Super Bowls — and the only team to lose four consecutive Super Bowls. It’s also the reason why the sentence Buffalo buffalo Buffalo buffalo buffalo buffalo Buffalo buffalo is grammatically correct. Most importantly, though, it’s known as the city that invented and lent its name to Buffalo chicken wings. It all started, so the story goes, with a woman named Teressa Bellissimo and Anchor Bar, the restaurant her and her husband, Frank, owned. The Bellissimo family name means “very beautiful” in Italian, just like a proper chicken wing is indeed, very beautiful. 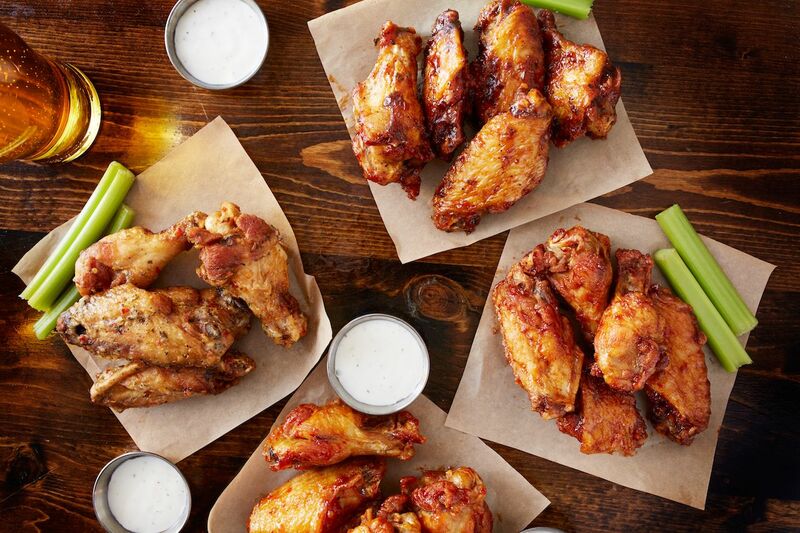 New Yorker writer Calvin Trillin tracked the Bellissimo Buffalo chicken wings history down in 1980, just 16 years after the food’s invention and three years after the city of Buffalo declared July 29 Chicken Wing Day. Teressa was tasked with figuring out what to do with them instead. Chicken wings at the time were one of the cheapest parts of the bird and either thrown away or used for stock. Undaunted, Teressa cut them in half, making a drumette section and a wingette, or flat, section. Then she fried them without any breading and smothered it all in a cayenne pepper based hot sauce. The hors-d’oeuvres were served up with celery and blue cheese and the rest is history. Kind of. Teressa’s son Dom says his mother made them for some hungry Roman Catholics at 12:00 AM on a Saturday, and another story is that she made them for Dom and his friends one night. Regardless of the exact origin details, it was created, and it was good. However, while reporting his story, Trillin came across a competing narrative right there in Buffalo. The idea of chicken wings smothered in hot sauce, according to this story, came from a black man named John Young. Young told Trillin that “black people have always eaten chicken wings,” and that his innovative twist was adding what he called mambo sauce in the early 1960s. When he left Buffalo in 1970, he said, chicken wings weren’t yet a hit. The main difference between the Bellissimo and Young versions is that Young left his chicken wing intact. Bellissimo’s way of cutting it to make a chicken wing into two small pieces was the way that spread across America. Chicken wings quickly took over the nation. Buffalo Wild Wings opened in 1982 in Columbus, Ohio. In 1983, Hooters opened in Clearwater, Florida, with wings front and center on the menu. McDonald’s debuted the Mighty Wing in 1990, and KFC released Hot Wings in 1991. An eating contest called the Wing Bowl started in 1993, and it became one of the top contests in the competitive eating circuit. (It ended in 2018 after the Philadelphia Eagles won the Super Bowl.) Domino’s Pizza spent $32 million advertising its hot new menu item, chicken wings, in 1994. Chicken wings were suddenly everywhere. Restaurants and bars found that chicken wings could sell for super low prices and, according to the National Chicken Council, “due to the spicy/salty nature of the sauce, they discovered that beer sales would go through the roof when customers ate wings.” Win-win, except that today, thanks to all the popularity and there only being two of them on every bird, chicken wings are the most expensive part of the chicken. Anchor Bar’s original sauce recipe is a secret other than the fact that it includes cayenne pepper, salt, vinegar, garlic, and margarine. It has to be a secret, otherwise they wouldn’t be able to sell bottles of it. Every chicken wing peddler out there isn’t trekking to Buffalo to buy it though, because hot sauce preference is as subjective as is gets when it comes to food. Let’s not let our differences divide us. No matter which hot sauce you choose, take some time to say a quiet little thank you to the city of Buffalo for gracing us with the Buffalo chicken wing this Super Bowl Sunday. It’s one thing, at least, that won’t ever disappoint you. 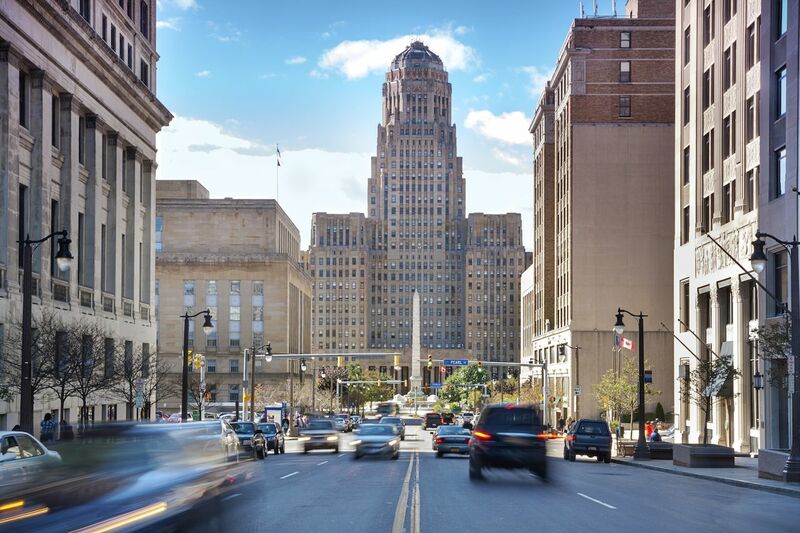 More like this: A Buffalo company wants to give you a free trip there this winter. And you should totally go.